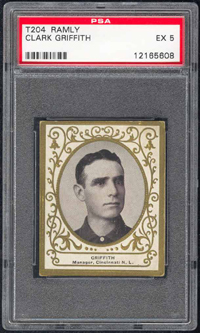 A leading pitcher of the 1890s, Griffith won 20 games six straight seasons with the White Stockings. 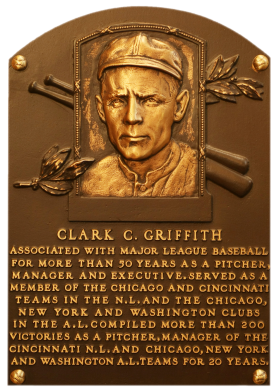 He won 240 games in his career. 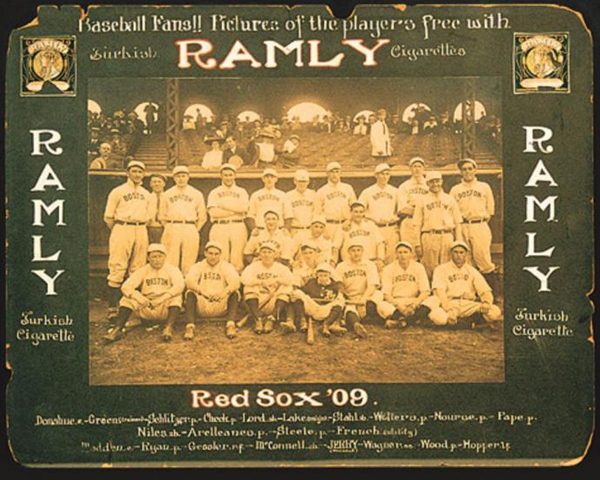 Over a 20-year period the cagey "Old Fox" managed, in turn, the White Sox, Yankees, Reds, and Senators. 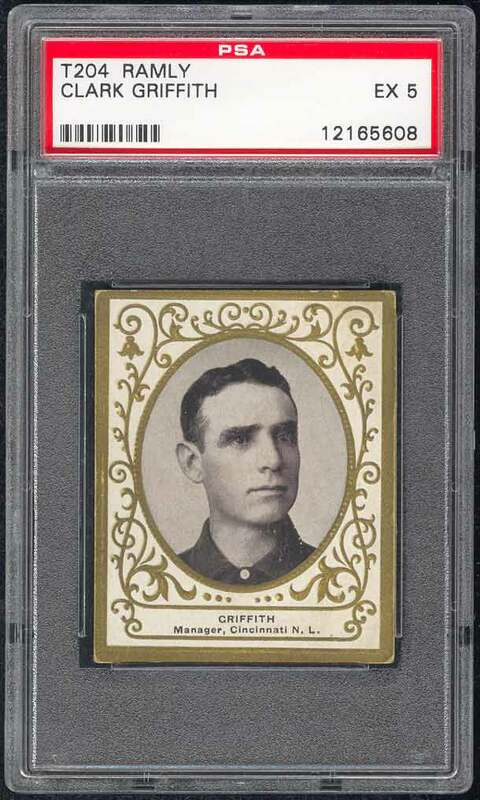 He had a 1,491-1,367 record and won but one pennant. 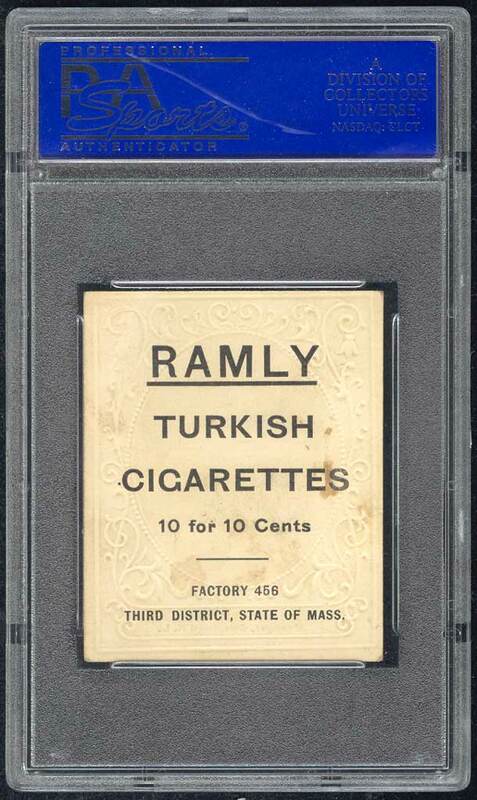 He was also the president of the Senators from 1920 to 1955. Comments: I purchased this beauty from another collector and Net54 board moderator Leon Luckey on 9/21/2005. 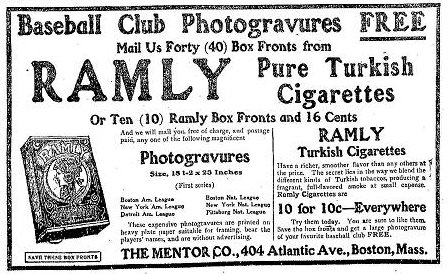 Description: Althought the Mentor Company of Boston issued both Ramly and T.T.T. 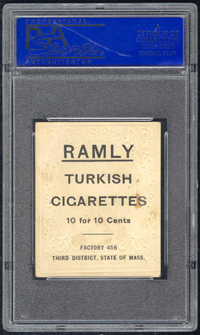 brand Turkish tobacco cigarettes, the cards in this set take their name from the more common of the two brands. 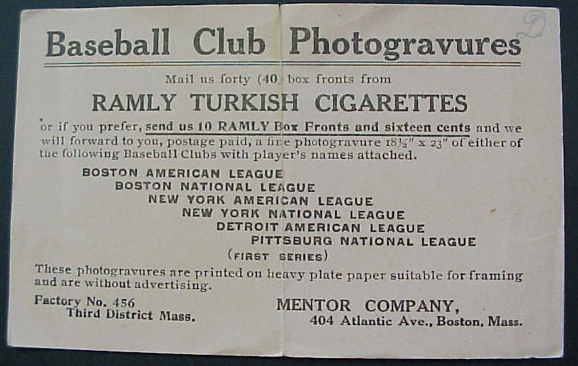 By whatever name, the set is one of the more interesting and attractive of the early 20th Century. The 2" X 2X1/2" cards carry black and white photographic portraits with impressive gold embossed frames and borders on the front. 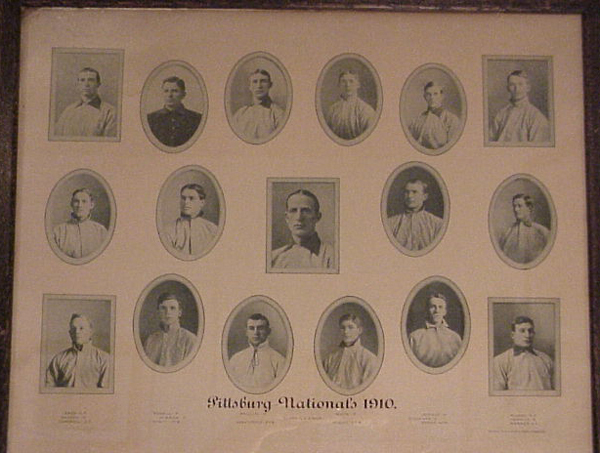 Toward the bottom appears the player's last name, position, team and league. 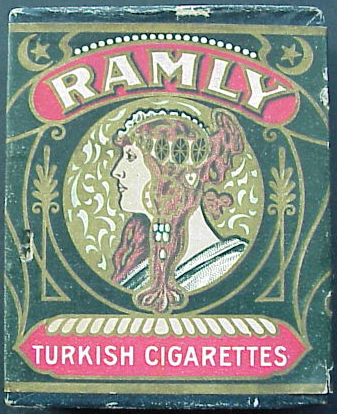 The backs carry only the most basic information on the cigarette company.